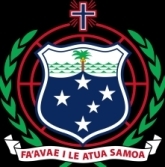 Samoa Civil Society Support Programme – 'Improve the Quality of Life of people in Samoa, through effective and sustainable civil society organizations"
“Improve the quality of life for people in Samoa through effective and sustainable civil society organisations”. 1. CSSP II will provide an effective, transparent and accountable mechanism for development funding for civil society to address development outcomes. 2. CSSP II will support Samoa civil society to take effective and innovative approaches to meet the needs of vulnerable people. 3. 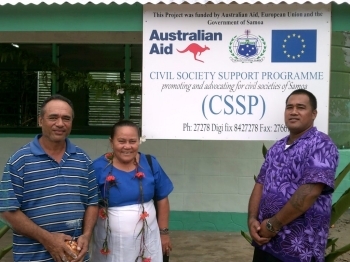 CSSP II will be a responsive resource for civil society development in Samoa to establish partnerships, promote alliances and support research.